Two-thirds of the world’s proven fossil fuel reserves cannot be used without risking dangerous climate change, the International Energy Agency (IEA) warned this week. 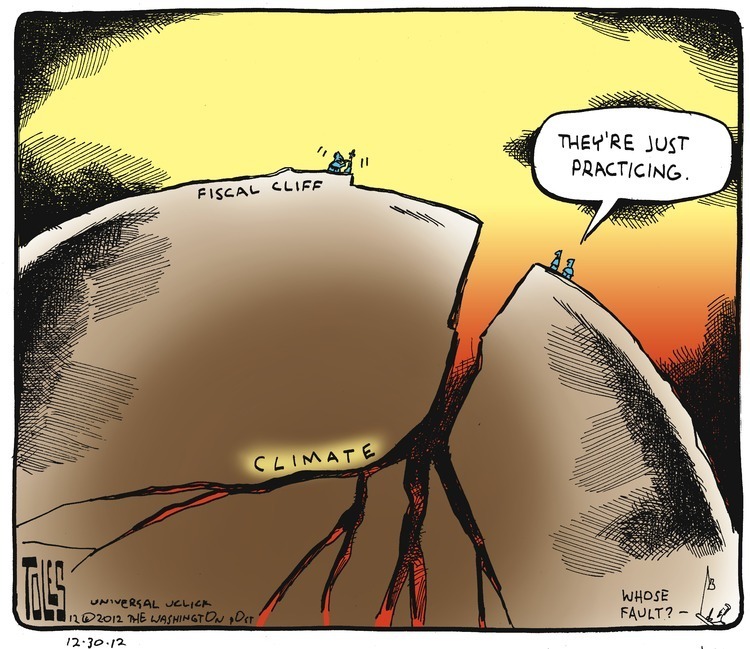 Preventing the consumption of those two-thirds will be the primary task of the annual U.N. climate negotiations that resume at the end of this month. Late Wednesday, U.S. President Barack Obama surprised many by saying climate change will be a personal mission in his second term. “The re-election of President Obama guarantees continuity of the U.S. pledge of reducing emissions 17 percent below its carbon emissions in 2005 by 2020,” said Christina Figueres, executive secretary of the United Nations Framework Convention on Climate Change (UNFCCC). “The U.S. is fully aware of the need to increase its ambition in terms of mitigation (emissions reduction) and finance to help developing countries adapt,” Figueres told IPS. The U.S. emission reduction target is equivalent to a three-percent reduction compared to 1990 levels – a baseline most countries use. Global emissions need to be 25 to 40 percent below 1990 levels in the year 2020 to keep temperatures from rising beyond two degrees C, climate scientists have said. By contrast, the United Kingdom is already 18 percent below its 1990s level and plans to be 34 percent below in 2020. In 2010, there was a binding agreement to limit global warming to two degrees C at the U.N. climate conference in Cancun, Mexico, said Andrew Steer, president of the World Resources Institute, a Washington-based NGO. The United States’ biggest environmental groups put aside their differences last week to make an urgent intervention on the country’s addiction to oil. 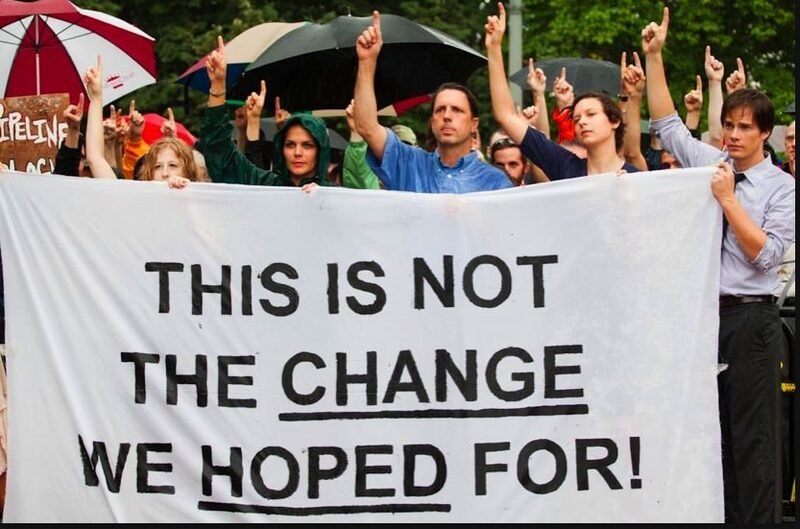 The first step on the long road to recovery, they say, is to stop the proposed construction of the Keystone XL pipeline that will “mainline” the world’s dirtiest oil from northern Canada into the U.S. heartland. “This (Keystone) is a terrible project,” they wrote in a letter to President Barack Obama, citing dangers to the climate, the risks of disastrous spills and leaks, and the economic damage that will come from continued dependence on fossil fuel. Oil from the Keystone XL will dump an estimated 150 million tonnes of carbon dioxide (CO2) annually into the atmosphere – more than most countries. Scientists warn that approval of the project will further fuel the extreme weather that has already resulted in over one billion dollars in damages recorded this year in nine separate extreme weather events in the U.S.
And that doesn’t include the estimated 20 to 45 billion dollars in costs from Hurricane Irene last weekend, mainly due to extensive flooding. Carbon dioxide (CO2) emissions from fossil fuels do not cause hurricanes, tornados or droughts, but they do trap additional heat and water vapour that fuels those events, climate scientists have proven time and time again. Asked about the impacts of adding another 150 million tonnes of CO2 into the atmosphere, German climate scientist Malte Meinshausen, a researcher at the Potsdam Institute for Climate Impact Research, told IPS that it will warm the planet for hundreds of years and lead to higher sea levels and “more pronounced droughts and floods”. 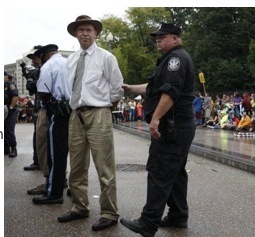 One the world’s most acclaimed climate scientists, NASA’s James Hansen was handcuffed and arrested in front of the White House yesterday. Hansen and hundreds more were urging the US government to end the coal industry practice of blowing off the tops of mountains to mine coal. Such practices are extremely damaging to the environment and local communities he says. Moreover to prevent catastrophic climate change coal must stay in the ground Hansen said.